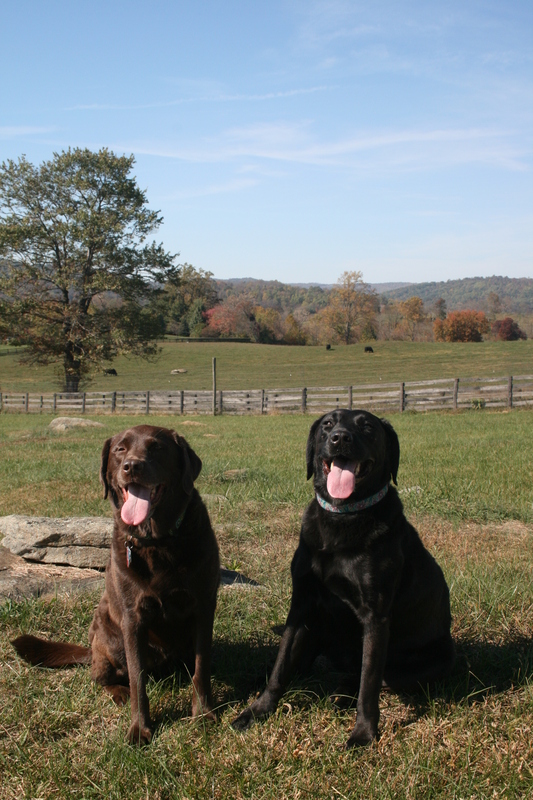 So with Fall in full swing and the leaves dropping as quickly as the temperatures, this weekend two friends and I packed up our two dogs each–that’s three women and six dogs–and headed out to Luray, Va., for a long weekend in the Shenandoah Valley. Before we left I checked out the virginiawine.org website, which conveniently lets you search for wineries by wine types, region and winery features. 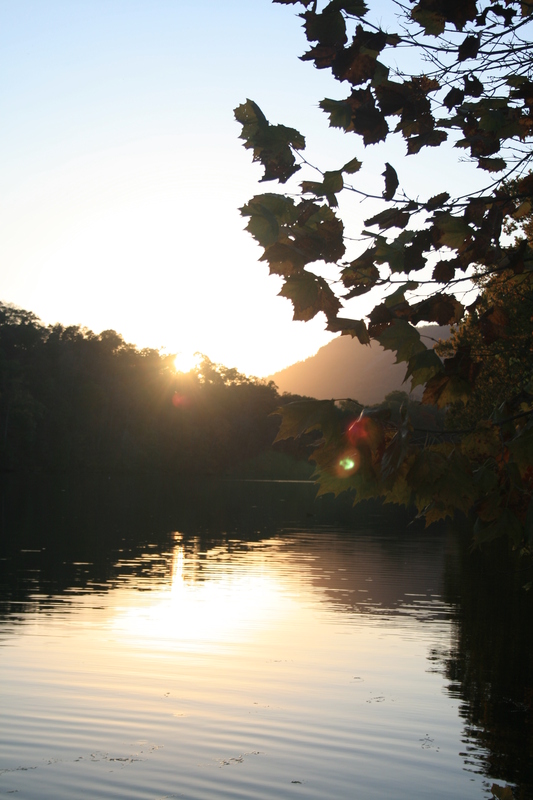 After selecting “Shenandoah Valley” and “Pet friendly,” the site came up with 12 options. 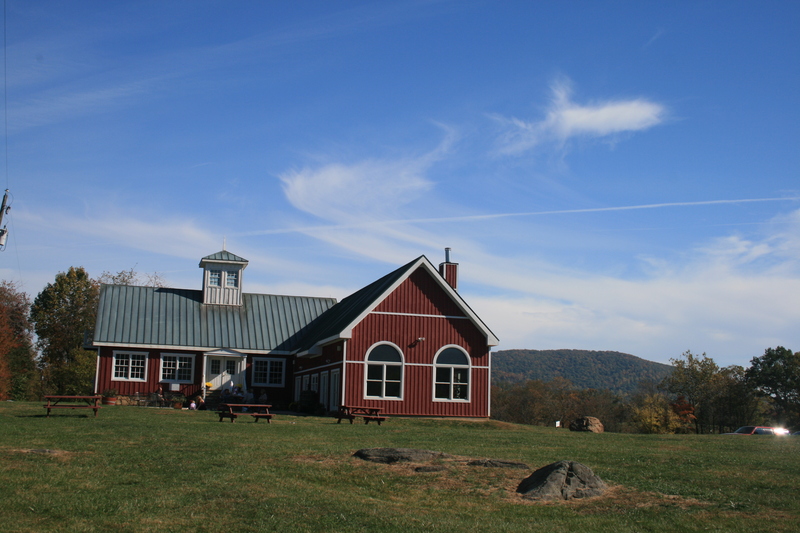 Cave Ridge Vineyard and Crooked Run Cellars were both within 30 miles of Luray, in Mt. Jackson. 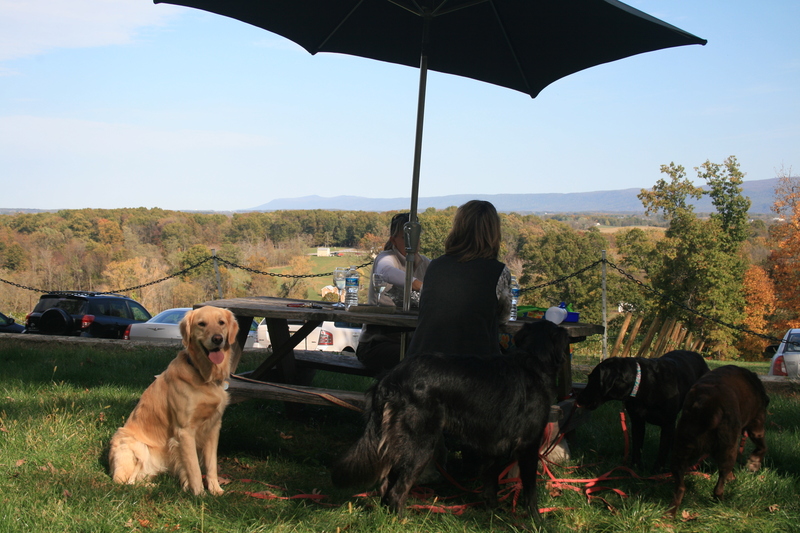 We decided to try Cave Ridge, because they had a special “Taste of Shenandoah” event on Saturday. 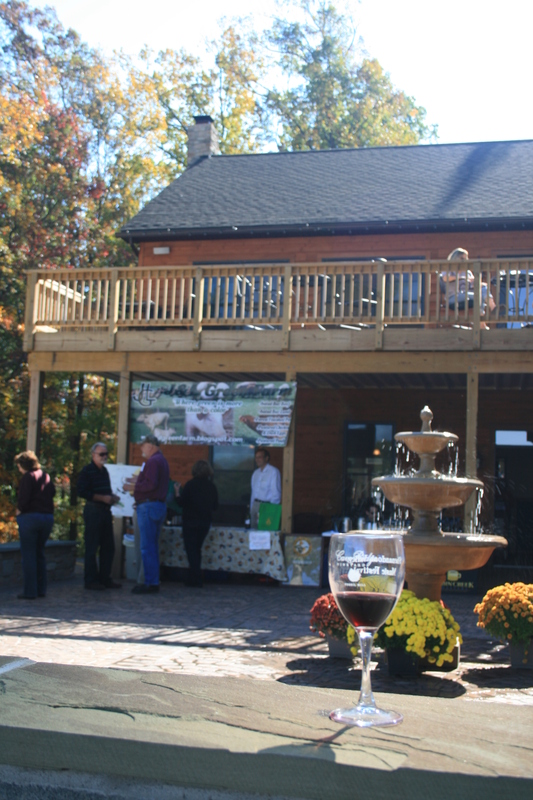 For $20, you got 10 pairings of Cave Ridge wines with samples of foods from local farms, and a full glass of wine. 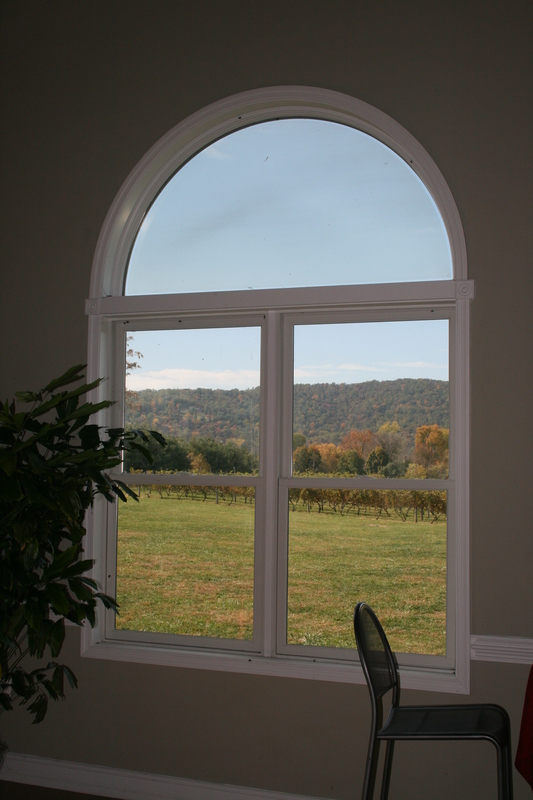 The tasting facility is set on a hill overlooking the vineyard and the scenic Shenandoah foothills, and has a large patio and deck. 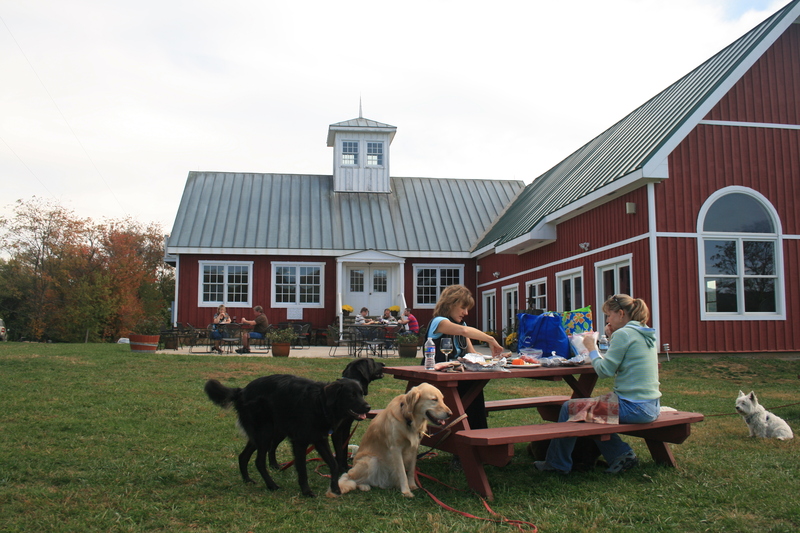 Dogs are welcome on the patio and anywhere on the grounds. The food and wine pairings were outstanding, with combinations like squaw bread toast topped with goat cheese and apple hot sauce coupled with a stainless-steel Viognier and lamb curry meatballs from J&L Green Farm made with Firefly Cosmic Curry Hot Sauce with a Chambourcin. Needless to say, the picnic lunch we brought along didn’t get touched. Well, okay, the dogs got to enjoy some of the cheese and crackers our stomachs didn’t have room for anymore. To top it all off, local musician Randy Black played tunes by James Taylor, John Denver, Paul Simon and other songs-you-know-by-heart on the patio all afternoon. 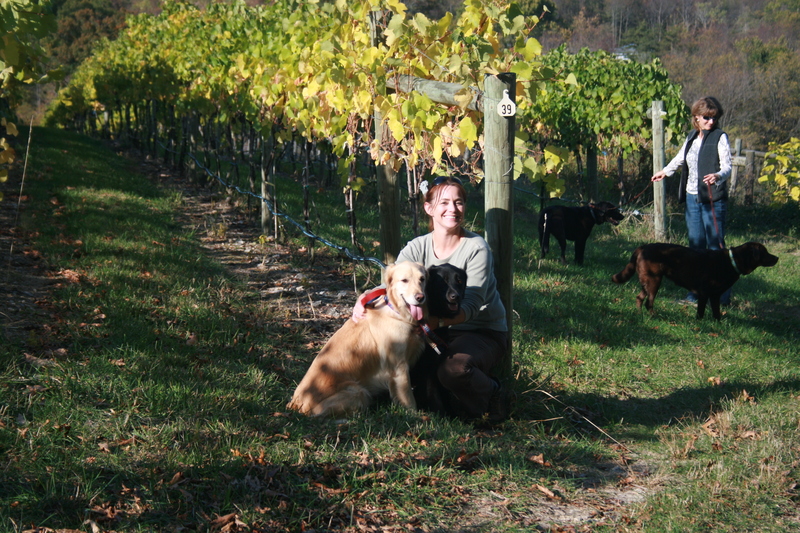 After wining and dining, we walked the dogs through the vineyards, and they got to visit with some curious cattle along one of the fence lines. The only thing missing was a hammock to take a long afternoon snooze! On Sunday, we headed back towards D.C., taking the cross-country scenic route through Sperryville, Flint Hill and ending up in Hume, Va., at Philip Carter Winery. I highly recommend taking back roads rather than highways, it’s so refreshing that the rolling hills, spectacular fall foliage and quaint farmhouses and country churches exist less than an hour from the Beltway. The winery sits at the end of a winding gravel road bordered by cow pastures and farms in a picturesque valley. A large portrait of the winery’s dogs is prominently placed next to the tasting counter, although they weren’t there to meet our six pups on Sunday. For $5, we tasted seven different wines. The most unique was a 2006 Meritage, which is a Bordeaux blend of Cabernet Franc, Merlot and Cabernet Sauvignon. Then we got some mileage out of Saturday’s uneaten picnic lunch, setting up on one of the picnic tables close to the patio. The only thing that would’ve been nice is some shade, either with umbrellas or by planting some trees. We had a pleasant fall day with the temperature in the mid-70s, but I imagine in the middle of summer visitors have to stay indoors to get out of the heat and sun. We again ended the afternoon with a walk around the vineyard perimeter, letting the dogs run off leash in the far corner of the field where they couldn’t bother livestock or other vineyard visitors. It provided some nice photo opportunities as well! What a fun weekend!! I’ll have to check those out, they look great. We ended up going to Howl-O-Wine despite not having Max and Chloe. It was fun and there were lots of dogs and dog related vendors. Thanks for the heads-up!